At The Smith Family Clinic for Genomic Medicine, we specialize in helping patients and physicians uncover genetic causes to rare, undiagnosed, and misdiagnosed diseases and illnesses. Through whole genome sequencing, our clinical team can help you and your doctor establish a more accurate diagnosis for your symptoms, which will allow for more targeted and appropriate treatment. How do genetic variants impact human disease? Some changes in DNA sequence impact the development of symptoms and disease. In certain cases, there is a direct association: DNA variation in a single gene is sufficient to cause disease. There are actually thousands of known single-gene disorders. Individually they may be quite rare, but collectively they affect a significant portion of the population. Sometimes a DNA change does not on its own cause disease but rather increases the likelihood a disease could occur. Even, the increase in risk is high enough that physicians generally recommend increased cancer screening and clinical management options for individuals with these types of variants. Genetic variants can either be inherited from a parent or arise in an individual as a brand new change (also known as de novo). Human traits and diseases caused by inherited genetic changes are often observed in specific patterns across a family. Sequencing and analyzing a human genome can identify these rare genetic changes that cause symptoms or increased risk for future disease. Most human diseases and traits are a much more complicated puzzle to put together, caused by many genetic and environmental risk factors that contribute to overall risk in very small ways. While we are beginning to identify some of these factors, many we still do not understand. Research efforts are underway across the globe to better understand these common, complicated diseases and to identify the genetic and environmental risk factors that contribute to their onset. Whole genome sequencing is a new test that doctors are starting to use in the care of patients. This whole genome sequencing test at the clinic is designed to determine the entire genetic makeup of an individual by sequencing all of their DNA. 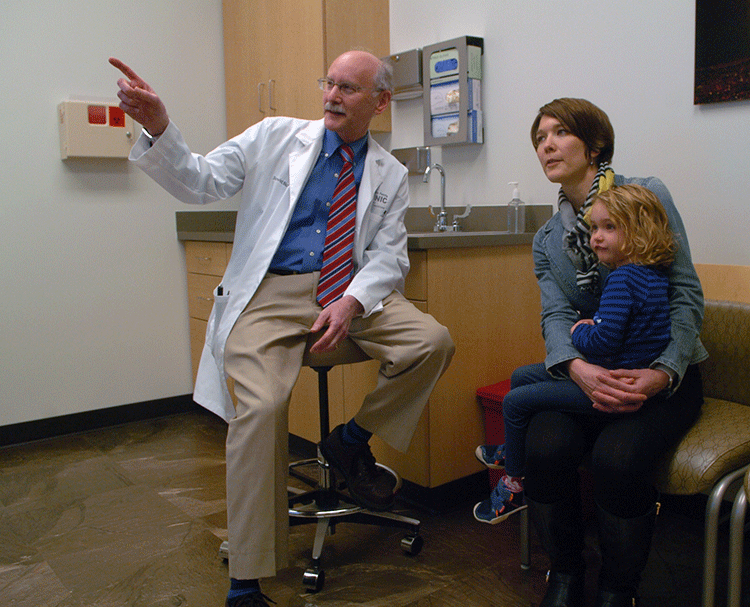 Armed with this information, physicians like Dr. Bick can make diagnoses and better choose treatments for patients. This test is ushering in the era of personalized medicine in which understanding genetic makeup will help physicians provide care. A primer on genomic sequencing: Cells are the building blocks of our bodies and are specialized based on where they are and what they do. Within each cell, a structure called the nucleus holds information vital to that cell’s growth, development, and function. This information is known as DNA or genetic code. An individual’s complete genetic code is referred to as a genome. 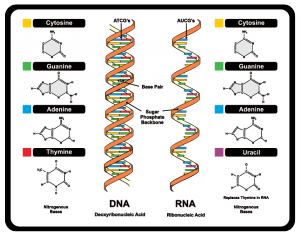 The basic building blocks of DNA are nucleotides. 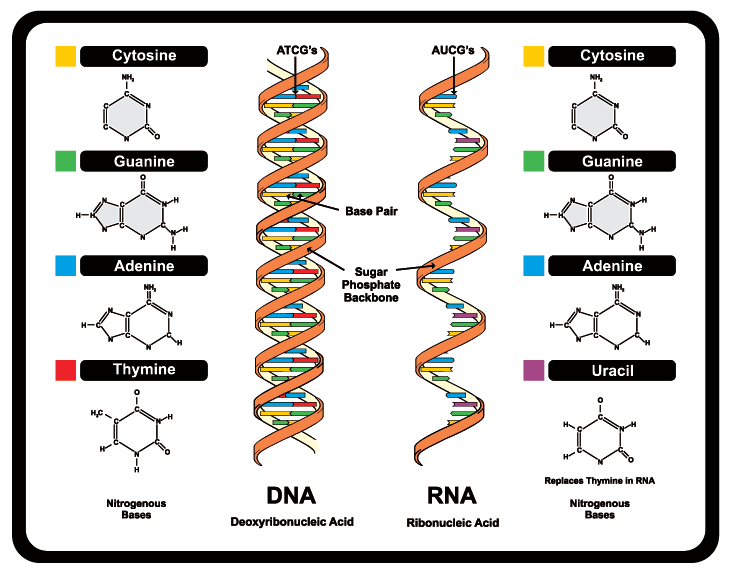 There are 4 kinds of nucleotides—A, G, T, C. These are the 4 letters of the genetic code. Genome sequencing is a type of genetic test that allows physicians to sequence or spells out, each of the 3 billion letters of an individual’s genome. Certain changes, or variants, in this sequence of letters, can have an impact on health, so detecting these variations can be beneficial in the diagnosis and treatment of disease. It’s important to note, however, that not all variations have an effect on the risk of disease. Each of us has variants in our genomes as part of the normal genetic variety among humans. A critical part of genome sequencing is the interpretation of the variants that are found once the DNA letters are sequenced. A disease-causing, or pathogenic variant describes a gene change that affects your health. If the variant doesn’t seem to affect your health, we call it a benign variant. Benign variants may have no impact at all, or they may contribute to non-health related traits such as blond hair or brown eyes. When we don’t know whether it causes disease or not, we call it a variant of uncertain significance. Current knowledge as it is used to make these interpretations differs depending on the gene containing the variant and the type of variant involved. Some genes are well known, while others have not been as well studied. Because genome sequencing examines all of an individual’s genes, sometimes variants are found in genes that are not related to the patient’s primary set of symptoms, but nevertheless have an impact on health. Examples of these genes include those that are associated with a predisposition for certain types of cancer or heart disease. If you or your family member is considering undergoing whole genome sequencing, it is important to ask your doctor or genetic counselor what the possible so-called “secondary findings” are. Additionally, findings from genome sequencing, much like many other genetic tests, may have an impact on the health risks for family members. Because of this, results should ideally be interpreted by your doctor in the context of a thorough and accurate family history. There is no such thing as a perfect genetic test, and although genome sequencing is detailed, it cannot detect all types of genetic variation. A negative result on a genome sequencing test does not rule out the possibility of a genetic condition, and there may be other genetic tests appropriate for you and your doctor to consider. What are the benefits of whole genome sequencing? Whole genome sequencing is a helpful diagnostic tool in which a physician examines the complete genetic code of the patient, looking for certain changes or variants in the code. Uncovering and interpreting particular disease-causing variants in a patient’s genetic code can often provide a more accurate and targeted diagnosis for the illness in question. Additionally, whole genome sequencing can uncover any genetic predispositions for various illnesses like heart disease and certain types of cancer. During the whole genome sequencing process, a clinician examines a patient’s entire genetic makeup to look for particular variants or changes in the DNA code that correlate with various diseases. This vital information, in conjunction with the patient’s medical history and symptoms, can help the physician provide a more precise diagnosis of health conditions that have eluded interpretation. Our partnership with the experienced clinicians, scientists, and physicians at the HudsonAlpha Clinical Services Lab allows us to provide this innovative diagnostic tool to our patients in a fully accredited and certified clinical laboratory that specializes in diagnosing rare and undiagnosed diseases. 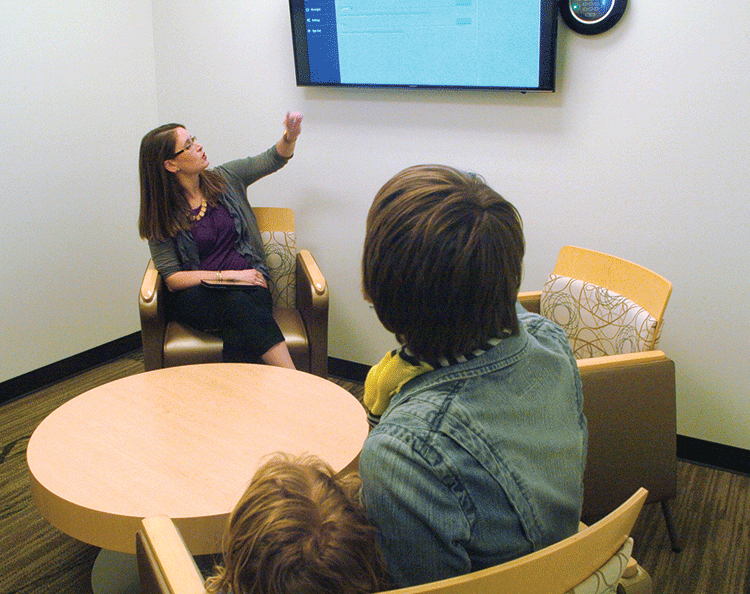 If you or a family member is dealing with mysterious symptoms or an illness with no known diagnosis, The Smith Family Clinic for Genomic Medicine is here to help. Each patient at our facility is seen by a geneticist who evaluates their medical history and symptoms, their phenotype, and will determine if whole genome sequencing or another genetic test would be helpful for diagnosing their condition. To begin the patient intake process, ask your doctor to request a consult for you or contact us today for more information.